If you’re local to Hertfordshire then this is worth checking out! Cinnabar Cafe is based in the heart of Stevenage Old Town and has recently re-opened following a major refurbishment. 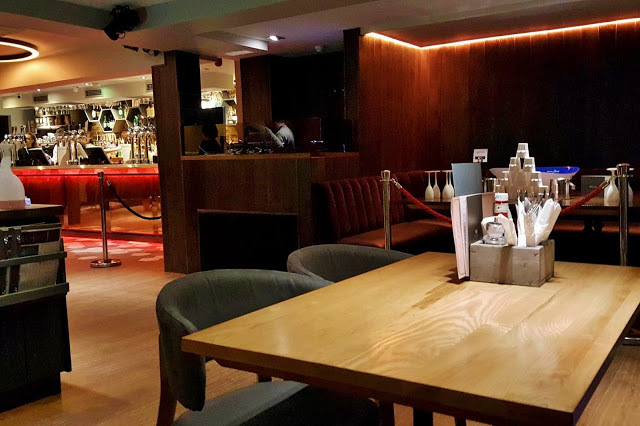 The venue combines a coffee house, cocktail bar, restaurant and nightclub all under one roof, making it the ideal place to start your weekend. Being fairly local, I was invited to try it out last Saturday and we began the evening with a few drinks and dinner in their beautifully decorated lounge restaurant. 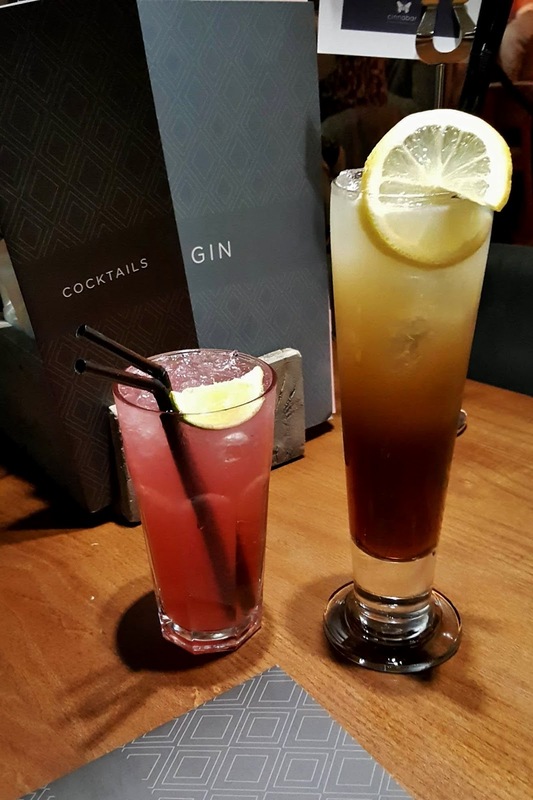 The bar offers a range of cocktails along with their specialist gin menu, as well as a full breakfast, lunch and dinner menu. I decided to try my favourite cocktail; a classic woo woo (made up of a mix of vodka, peach schnapps, and cranberry juice) and Gavin decided to have the long island (vodka, gin, tequila, lemon, and cola). I loved mine but as I was driving I only had the one, and Gavin managed to down his pretty quickly so the cocktails were a great success! 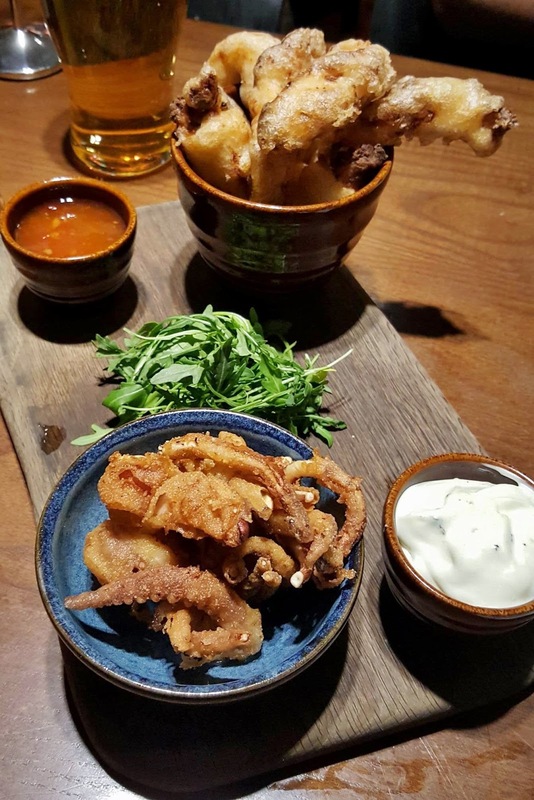 For starters I had the calamari which came with lemon mayonnaise, and Gavin tried the chilli tempura chicken strips with sweet chilli dip. My dish was actually from their tapas menu which is made up of lots of small plates of yummy goodness. The food was presented nicely and was the perfect portion size for a starter.. it filled a hole without spoiling my main course! 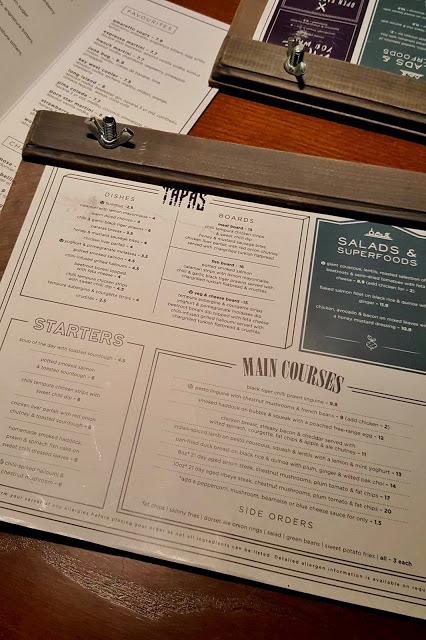 Despite it being a busy Saturday night, the staff were really great at clearing our plates around and taking our drinks order quickly so we weren’t left waiting around. For our main courses we both opted to try the 8oz sirloin steak. This was served along with chestnut mushrooms, plum tomatoes, and skinny fries. I chose to have mine cooked medium-rare and it was done just perfectly with a slightly seared outside but a juicy pink inside. Plus, the blue cheese sauce was the perfect addition to the meal. Check out that big piece of succulent meat… yummy! 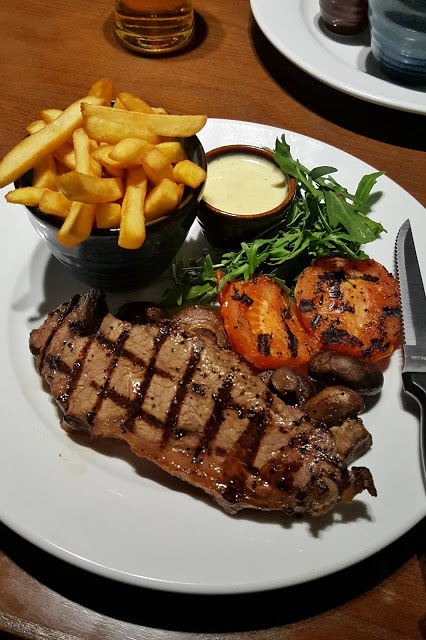 I do frequently order steak when I go out for dinner (such a carnivore) and I have to say that this is one of the best steaks I’ve had in a long while! Despite having a pretty full belly after a bit plate full of meaty goodness, we both took the plunge and each ordered a dessert. 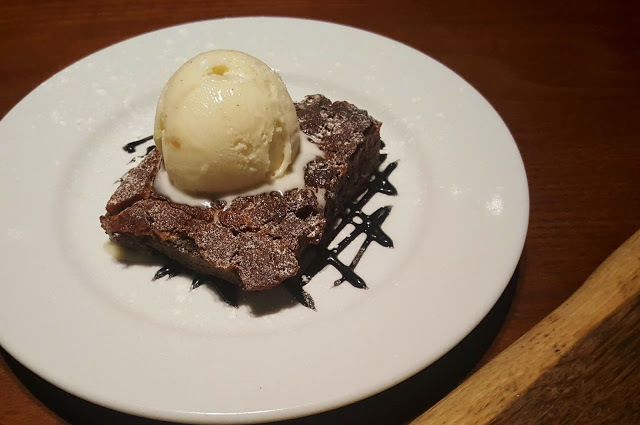 Gavin went for the warm chocolate brownie served with vanilla ice cream which was nice an soft and gooey, but also had a few crunchy nuts in there. 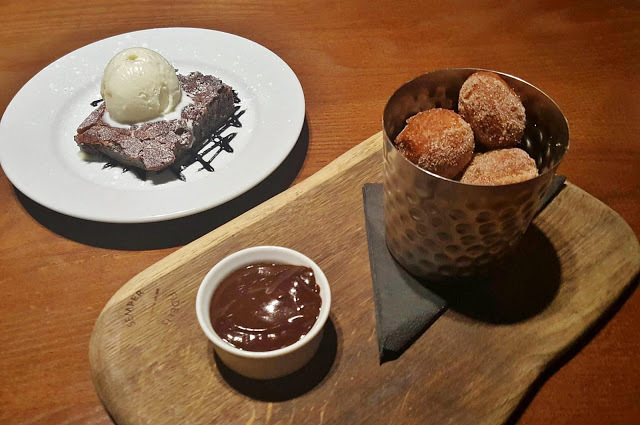 Whereas I picked the mini doughnuts which came sprinkled with lots of sugar and cinnamon dusting, and a little pot of dipping chocolate. This was the perfect way to finish off the meal and I thoroughly enjoyed the sweet little balls of joy (anything dipped in sugar and chocolate is a thumbs up from me). Cinnabar also have a restaurant/bar/hotel in Hertford, so if you’re local or are visiting the Hertfordshire area then check it out! They do cocktail masterclasses too (is there anything they don’t do?)! 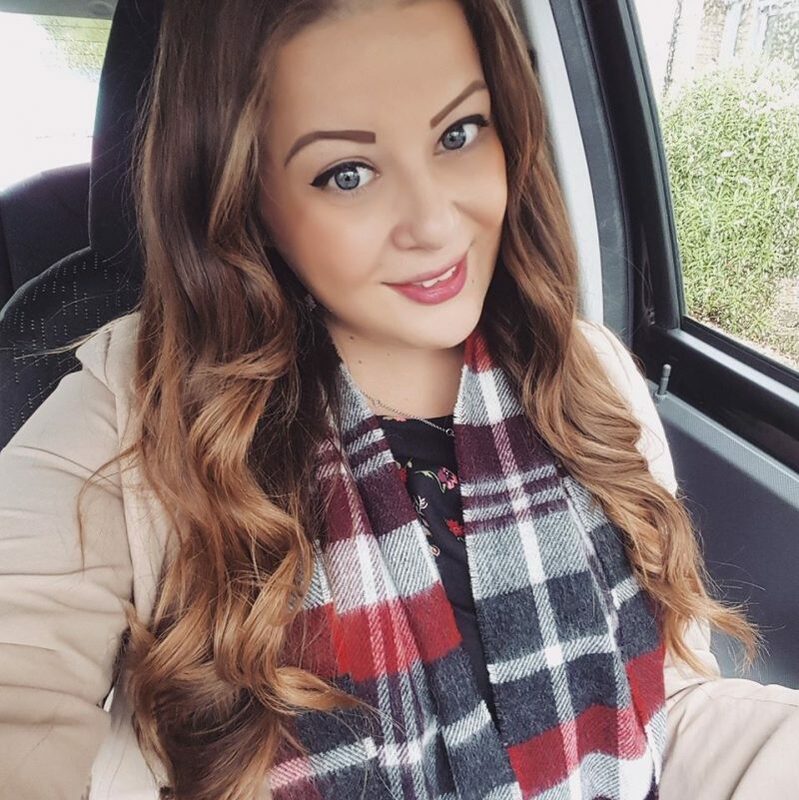 We had a really enjoyable evening sipping cocktails in a lovely relaxed atmosphere and the food was exactly to our tastes.Thank you for inviting us Cinnabar, we’ll be back again soon!